Read these great ideas for college financing from students and parents who have shared their financial aid strategy. These essays offer great tips for financing college. Many students have taken different approaches, so I encourage you to read a number of these essays to find out what might be the best solution for you, and what to avoid. Robert Hernandez is the scholarship winner in our 2014 scholarship from www.college-financial-aid-advice.com. His essay, Which College Is Right for Your Child?, was selected from over 400 entries. Robert and his wife live in San Jose, California, and have 4 grown children. Natalie Holifield is the scholarship winner in our 2013 scholarship from www.college-financial-aid-advice.com. Her essay, What They Don’t Tell You about Financial Aid, was selected from almost 300 entries. 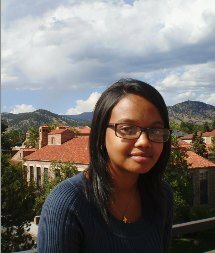 Natalie is an undergraduate student at the University of Denver in Colorado. She is majoring in sociology. 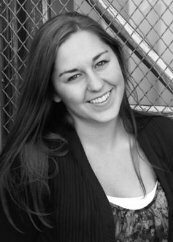 Elle Larsen is the scholarship winner in our Spring 2012 scholarship. Her essay on college financing tips, A Letter to My Siblings, was selected from almost 300 entries. Elle is a 2012 graduate of Cretin-Derham Hall high school in St. Paul, Minnesota. She will attend the College of Saint Benedict in Minnesota and plans to receive her degree in nursing. After receiving her RN, she plans to become a nurse-midwife. Here are some great ideas to help finance your college education, as submitted by other readers of this website. Community college option - Attend a local community college to reduce costs, and still get your 4-year degree from your favorite university. Read how Nikki did just that and learn from her experience in Use What You Got. Work abroad - If you have graduated with student loan debt, or just want an interesting job, consider working abroad. Veronica shares how her teaching position in South Korea helped her pay off student loans. Paying off Student Loan Debt. Scholarship advice - I received many excellent entries about college financing tips with scholarships. These offer some very good advice. Daniel explains how not every scholarship is worth your time, so consider Applying Cost-Benefit Analysis to Application for Scholarships and Grants for College. You will want to stay organized, so read these tips from Thomas on how to organize your College Scholarship Searches. And don't forget that important scholarship essay. Amber shares her advice on writing just One Good Essay. We also have some very good examples of college admission essays and scholarship essays if you scroll down to the bottom of this page. Here are the Spring 2012 finalists in our College Financial Aid Advice Scholarship Contest. The winner of our $1000 scholarship for college was Elle Larsen, for her essay A Letter to My Siblings. These essays offer some excellent college financial aid advice. If you want to enter your essay in our next contest, see Apply Online Scholarship. Can I afford $160,000 worth of loans after graduating? MY STUDENT LOAN IS MY WORST NIGHT-Mare! Here are the Spring 2012 outstanding college admission essays and scholarship essays submitted in our College Financial Aid Advice Scholarship Contest. These are some great essays that can help you get inspired as you write your best college essay.